Optometry software is used by ophthalmologists to manage patient treatments, as well as prescriptions for medications, glasses and contact lenses. As opposed to traditional medical practices, optometry involves managing a large variety of optical instruments and aids. Optometry software is used to match treatment options with optical aids. When not delivered by optometry solutions, integration with electronic health records is required to access patient data. Integration with point of sale software is also important to manage sales. Integration with accounting systems allows ophthalmologists to process payments and assess the profitability of their business. Optometry reviews by real, verified users. Find unbiased ratings on user satisfaction, features, and price based on the most reviews available anywhere. 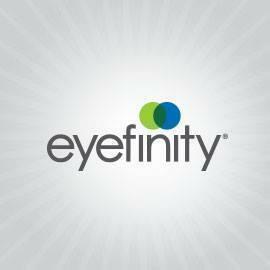 Eyefinity OfficeMate automates daily tasks in a practice management environment. It can only be deployed on-premise, and is suited for a wide range of specialities. Eyefinity EHR uses adaptive technology to learn and adapt to the way you practice , saving valuable time and improving your patients' experience.Eyefinity EHR integrates with Eyefinity Practice Management, OfficeMate, and AcuityLogic. OfficeMate satisfies all of your practice management needs and maintains and manages patient demographic information that is easily entered and accessed and includes such areas as marketing, recall, and insurances. Crystal PM is the total software package that enables optometric offices to easily perform all essential practice management functions. My Vision Express offers a robust practice management software, a smart and efficient electronic health records (EHR) solution, a single-screen point-of-sale (POS), integrated insurance billing features, inventory management tools, appointment scheduling, patient recalls and more in one comprehensive software solution made for eye care professionals. Compulink is an ONC Certified EHR and Practice Management software designed to help physician practices deliver enhanced patient care and achieve business success. MaximEyes software offers complete optometry, ophthalmology, and optical EHR, practice management, image management and medical billing solutions. Easily customize exam templates to fit workflows. MIPS calculators, AOA MORE integration. Exam findings trigger codes, plans, documents, alerts. Robust query tool. Two-way eRx sends and imports prescribed medications. Cloud or local server. Unmatched customer support typically <30 seconds, 98% satisfaction. Office Ally's Practice Mate is a Web-based medical practice management system for small to midsized practices with multiple offices. EZClaim Medical Billing Software is a cost effective and easy-to-use medical billing and scheduling practice management system for the small to medium size office. Medflowvision offers an integrated, healthcare solution designed specifically for the eye care industry. The EHR and business software combines an intelligent network, back-office services and enhanced analytics to help you manage, preserve and grow your practice. LiquidEHR Inc provides optometry software and technical service for eye care providers. It has followed a consistent design philosophy focused on naturally intuitive software and support service that is an integral component to its core, using the latest technology and best practice methodologies. MDoffice EHR provides quick access to patient records for coordinated & efficient care. MDoffice EHR helps practices with problem-specific forms, detailed tools, and comprehensive services with flexible and customizable programs. 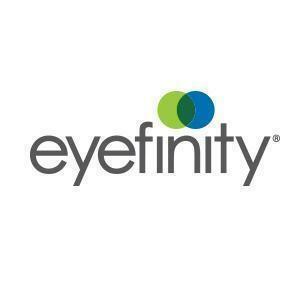 For eyecare providers, Advantage’s inventory management software offers special features for managing frame and contact lens inventory and fully integrating your optical point-of-sale. MTBC's Practice Pro is an integrated suite of medical software, which includes a Meaningful-Use certified electronic health record (EHR), practice management, billing and accounting applications. At Visual-Eyes, we believe in equipping your office with a flexible software solution designed to meet your individual practice needs. Our modular system allows you to select only the features you need. Our modules seamless integrate to facilitate a more efficient work flow and a better patient experience. Simply put, Visual-Eyes offers easy and efficient practice management systems customized to meet the exact needs of your practice. WinApps is a hybrid cloud-based and on-premise hospital management solution for clinics, hospitals and nursing homes.WinApps keeps track of doctors, staff and patients. AppointmentsEverywhere is created by SpectraSoft with the intention of delivering a convenient and user-friendly, yet comprehensive and powerful scheduling tool. Blink is a optometry Software providing a comprehensive but compact package capable of converting your practice into a paperless environment at a low cost. Doctorsoft is a cloud-based electronic health records (EHR) software solution designed specifically for ophthalmologists and optometrists. iMedicWare is a practice management solution used by doctors and medical practitioners to manage day-to-day operations. 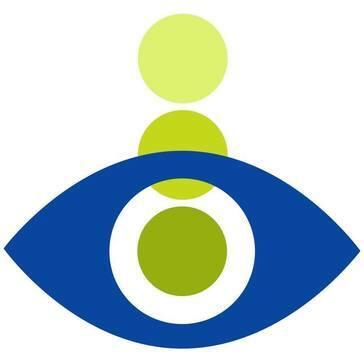 Integrity EMR provides relevant information gathering tools to the eye care community that improve the quality of life for ophthalomlogists, patients and staff. MedflowVision delivers an intuitive state-of-the-art solution combining modern cloud technology with Medflow's proven expertise in the eye care industry. Patient Chart Manager EHR is an on-premise electronic health record and practice management solution suitable for practices of any size and specialty.The EHR tool integrates with and track patient chart data, appointment history, prescription history, lab reports, allergies, images, and much more. QuikEyes offers Medical Billing, Patient Scheduling, and Practice Management solutions for private practices. CGM DAQbilling provides a set of high-yielding functionality that small to mid-size medical practices, billing services and laboratories need to minimize their operational costs and improve their revenue. A complete software package that automates all aspects of eye care including electronic exams, digital image capture from diagnostic equipment, and much more. ifa systems AG's EcMR software is an Electronic connected medical record system for ophthalmology professionals from general ophthalmologists to ophthalmic surgeons. EyeBase Cloud is designed specifically to help manage the daily business activities of the busy optometrist. It is also designed to take the examination process and make it completely paperless. eyecare ADVANTAGE is the key to controlling practice costs in the managed care environment with its unique departmental and line item production profitability reporting. Filopto Eye Care Practice Management System is designed for optical shops, optometrist and ophthalmologist. Proven to save time and increase efficiency Filopto is equipped to help you manage your business. The Eye on Your Business module gives you a dashboard view of how your business is doing. Filopto is comprehensive and uses a simple workflow navigation system that gets users able to easily use the system within a few minutes. Filopto’s built-in wizards also help users complete the more complex task they may encounter. Filopto provide the following modules and tools: Patient File, Prescription Manager Appointment Scheduler, Appointment Waiting List, Recall Manager, Electronic Health Record (EHR), Electronic Medical Record (EMR), Equipment Connectivity, Invoicing/Dispensing, Lab Orders Manager, e-payment (credit card and e-check) support, Inventory Manager, Purchase Order Manager, Promo Pricing Manager, Rolodex, Patient Accounts Receivable, Insurance Accounts Receivable, Insurance Manager, Insurance Claims Submission(U.S.: CMS-1500, Canada: NS MSI, BC MSP, OHIP, Manitoba Health, Alberta Health and Manitoba Blue Cross), Claims Manager, Vendor Manager, Employee Manager (Basic or Enterprise Version), User Security Manager, Communication & Marketing Manager, Forms Manager, Educational Info Manager, Report Manager, Ask a Question query tool, Eye on Your Business Manager, QuickBooks Desktop Connector, Point of Sale support, Bar Code support, LIVE Help and Support via online remote connection, and over 600+ user customizable forms and reports. FittingBox provides digital content and interactive solutions for the eyewear industry with virtual eyewear try-on for customers. InputHealth empowers healthcare practices to efficiently collect data from patients utilizing mobile devices. IO Practiceware integrates communication within your practice, the software cuts down the time your staff spends scheduling patient appointments and recalls. ITigris Optima is a smart optical business automation solution that is effective solution for optical shops and chains.ITigris provides electronic document interchange with the leading Russian optical suppliers, and they recomend Optima as an automation system for opticians. Klinix is a billing solution that can be used by medical organizations of all sizes, from solo practices to large health care setups. The solution is compatible with the Medical Claims Electronic Data Transfer (MC EDT) service. ManagementPlus software suite is a user-friendly EHR, Practice Management and Optical inventory control software solution. NetOptic provides you with an integrated solution that is designed to work as a unified tool that addresses the front office, clinical treatment and financial management of your practice. Ocuco provides paperless practice management software for optical retail and lab management solutions. Whether you have a single computer in your clinic, or several clinics in different locations or you want to access your database remotely, Optosys software allows you to personalize and simplify the management of your clinics. Orchestra One is a cloud-based medical solution made for small, direct-care private practices. Its key feature includes schedule management, patient communications, billing and online booking. PCS Cheltenham's Practice Management System is a comprehensive suite of modules designed to simplify daily operational procedures for all staff within a practice. Hi there! Can I help you find the best Optometry solutions?